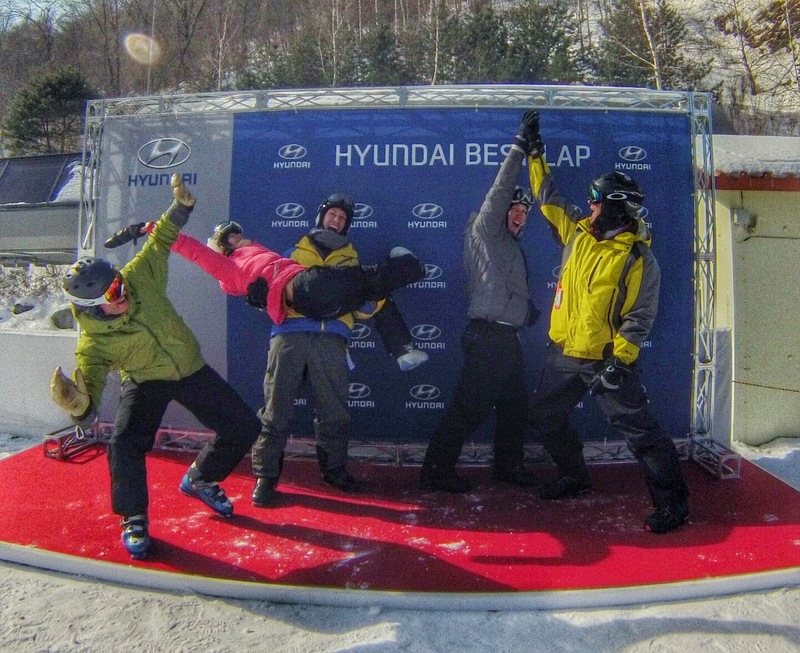 Two weekends ago my friends and I checked off one of my final to-do’s in the ROK — skiing in Pyeongchang, home of the 2018 Winter Olympics. 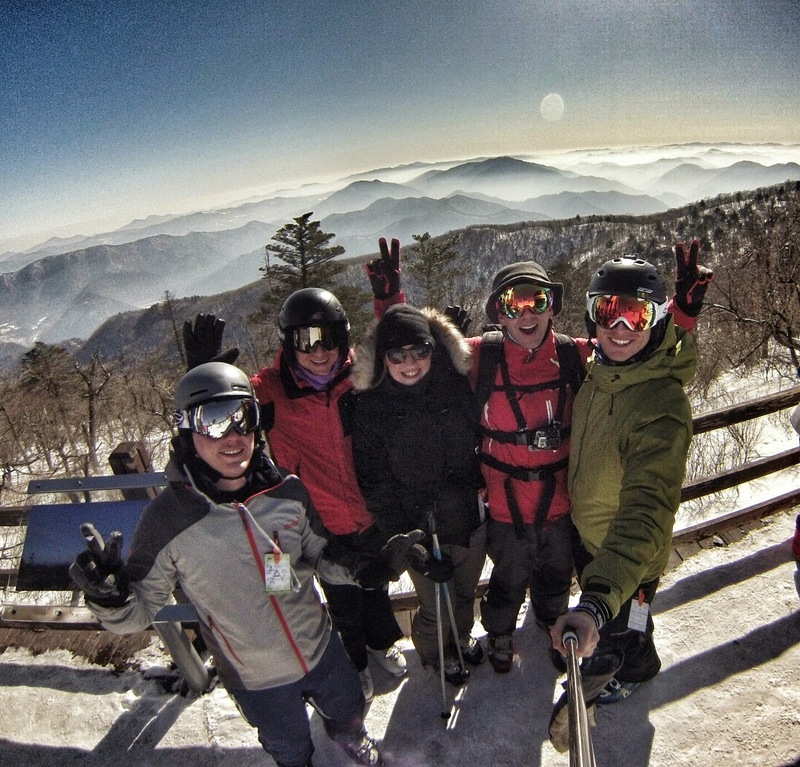 We headed to the Yongpyong Ski Resort, which will be hosting the alpine skiing events in 3 years time. 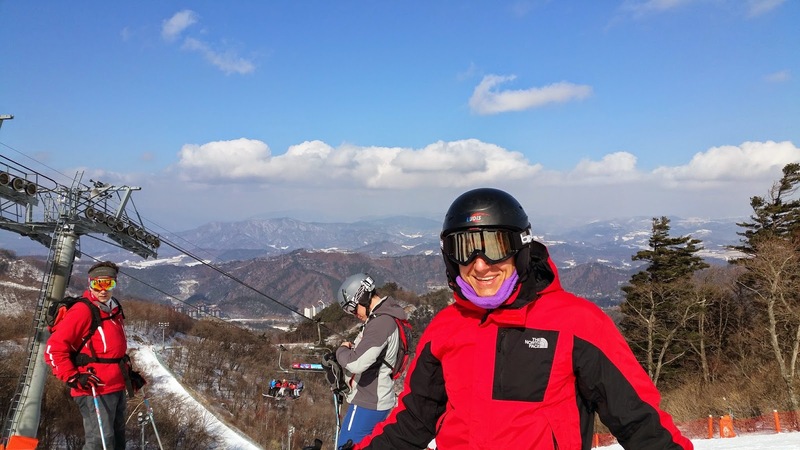 For my friends, many of whom will be leaving Korea when their employment contracts expire at the end of March, this was one final chance to experience the slopes of South Korea. I had been skiing in Korea before, but never to Yongpyong as it is more distant from Seoul and really doesn’t make a good day trip. My friends and I set the alarm super early on Saturday morning to catch a 6:10am bus from Seoul’s Jamsil station … even without traffic the trip took 2.5 hours. Thankfully I was prepared to sleep the entire bus ride with my eye mask and noise-blocking earbuds. Offsite ski rental was a bit of a hassle, and all the ski shops were pretty humdrum, but at least we received free transportation to and from the resort. The morning was cold… -12C (10F) … and I was glad that I wore my extra warm sweater underneath my shell and my fleece jacket. Finally by 10:30 we had reached the long line for what must be the world’s slowest gondola. The cable car was a bit snug for 8 people and the ride very long … maybe 15 minutes to reach the top of the mountain. At the top you are given only 2 choices: a long beginner/intermediate run that switchbacks down the whole mountain and a “double black diamond” run proclaimed “expert”. For my first ski run of the year, I wasn’t ready to thrust myself onto difficult terrain as I regained my ski legs, so we went down the easy path, which may have been a mistake… most of the easier slopes in Korea are overrun with people and this was no exception. Went through a bit of a gauntlet to get down weaving around the weaker skiers and hoping the super aggressive fast skiers behind decided not to run me over — like driving etiquette, skiing etiquette is lacking in Korea. Fortunately, you can jump off the slow crowded slope part of the way down and explore some nicer (and more challenging) slopes off to the side of the mountain. None of the chair lift lines were particularly crowded. After a few hours of skiing my friends and I regathered for late lunch in the welcome center at the bottom, which seems to be the only place to eat a meal. The Japanese-style ramen restaurant disappointed — I think we were served spaghetti noodles instead of the real thing. Unfortunately, the long gondola line precluded much late afternoon skiing before the 4pm shutdown of the mountain, though we did make it down the “double black diamond” portion of the mountain where the Olympic downhill will be held. The difficulty level was highly overrated and I’m not sure how the Olympic organizers plan to make these slopes difficult for the racers. The snow was mostly manmade, due to a dry winter, and firm but not too icy. One of my friends made a reservation at a nice pension house a bit away from the ski resort and the Pyeongchang town. A couple 4-bed houses connected to each other with the typical Korean stiff mattresses next to a little shack with a cozy common area. We enjoyed beers and a warm fire inside, then were picked up for a nice Korean BBQ dinner at one of the many beef restaurants in the area (yum! ), then back to the pension for more beers and good company. The next morning was an early start — 8am pickup — and not everyone had survived from the day before. Pension gave us a Sunday morning ride to the ski resort … how convenient! … and we headed up the gondola for coffee at the top before skiing down. Weather was again crisp but sunny on a picturesque morning … fog obscured some of the valleys below and the ocean was visible off in the distance … air quality was much higher in northeastern Korea! More skiing, late lunch at a decent Italian restaurant in the welcome center, dropped off the rental skis with the ski shop (who came to pick them up from the resort), and onto the bus back to Seoul at 3pm. At that time of day, returning to Seoul is an exercise in patience … the highways returning from Gangwon Province become parking lots. The 2.5 hour ride to Yongpyong stretched past 4 hours on the return trip. My verdict on Yongpyong — it’s nice … for Korea. Definitely the best skiing I have experienced in Korea (my only other experiences being Phoenix Park and Vivaldi Park), but would greatly underwhelm a tourist expecting something grander like the Rocky Mountains or the Alps. 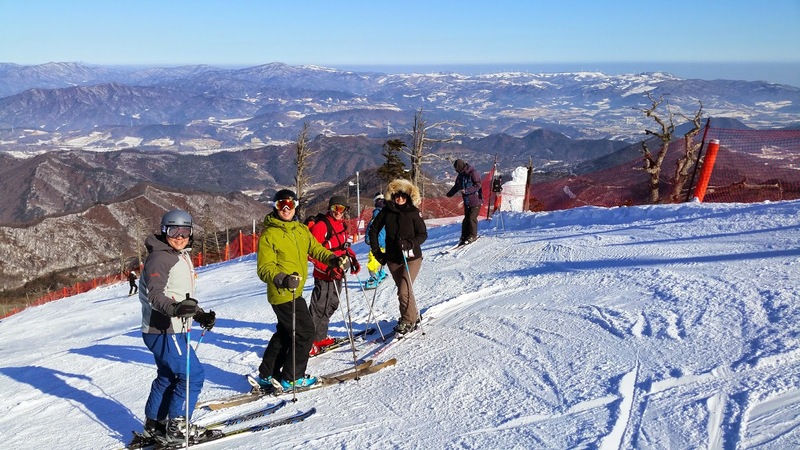 Japan is a far better destination for the traveling skier and Yongpyong is only worth visiting if you happen to be in Korea for some other reason — there is no point in making the trip just for this. The mountain felt small and unsophisticated, dining options sparse and the snow quality not powdery (Koreans, I am told, prefer icy snow so they can ski down more aggressively). The accommodations around did not look very big or luxurious, and I imagine the Olympic time will be very crowded and uncomfortable around these parts. Maybe the Olympic organizers plan to dress up Yongpyong further — there is still time — but as it stands now the whole thing just does not feel “Olympian”.